The following consultants have self-identified as qualified to provide advice on best practices for certifying organic operators. Many also inspect on behalf of certifying bodies. Inspectors cannot provide consulting services if they have inspected your operation in the past year. Each consultant sets his or her own fees and consulting structure. Not all consultants are willing to provide advice over the phone. By including this list on our website, OCO does not endorse the services provided by these consultants, and cannot guarantee their knowledge or experience. Training and accreditation of organic inspectors is offered by the International Organic Inspectors Association. Supporting members of OCO receive discounts on services from organic consultants. See our membership page for more information about membership types and to join today. Joel is an organic inspector who provides consulting services. He is qualified to inspect a variety of farming, livestock, and processing operations. He has a degree in Agriculture Science, and a Masters in Capacity Development and Extension from the University of Guelph. He has been working in the organic sector for the past eight years. Joel is also a member of the Board of Directors of the Organic Council of Ontario. He currently sits on the Outreach Committee. Bill is a bilingual (French) organic inspector and consultant with over 35 years of farming experience, who has been conducting organic inspections since 1999. He has performed certification inspections for eight different certifying bodies. He has inspection and certification experience in farming, livestock, and processing. View a complete list of Bill's qualifications. Delia is a bilingual (French) organic inspector and consultant. She has been conducting organic inspections since 2003 on farming, livestock, and processing operations for a variety of Certification Agencies. She also conducts Gluten Free, Non-GMO, Fair Trade, Private Standard, Animal Welfare and Food Safety inspections. Delia is a member of the International Organic Inspectors Association. She holds a B.Sc. from McMaster University. View a complete list of products Delia is qualified to inspect or consult on, here. 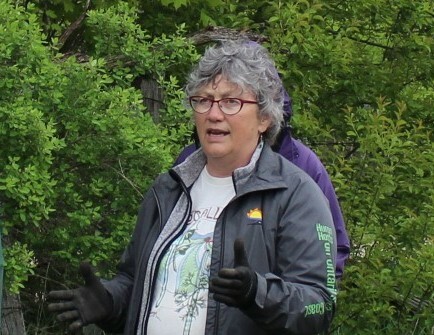 Ruth Knight, PAg - Organic Consultant Inc.
Ruth is passionate about soil regeneration and the tremendous opportunities it holds for farmers, our communities and our planet. 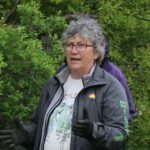 She brings a diversity of experiences to her agronomy work, including: organic certification inspections, land use planning, education and knowledge networks, and experience as a former partner in a mixed livestock/pasture farm. Since 2005, Ruth has provided services to a diversity of farms that are transitioning to organic, improving the productivity of their existing operations, or are new landowners looking to create meaningful connections to their landscape. 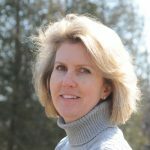 Ruth holds a BSc Agriculture and MSc Rural Planning and Development from the University of Guelph and a diploma in Landscape Design from Fanshawe College. She is a Professional Agronomist (PAg) - Ontario Institute of Agrologists, and has a Certificate in Nutrient Management Strategy and Plan Development for Agricultural and Non-Agricultural Operations. In order to succeed, farmers and small business owners need to focus on sales, strategy, product development, and customer service. A business owner still has many obligations for paperwork, financial reports, and regulatory submissions. Failure to complete these tasks may lead to major problems in financing, regulatory compliance, employee morale, and customer satisfaction. Tom Manley will make life easier for business owners by addressing the paperwork requirements and leaving the business owner to focus on growing the business. 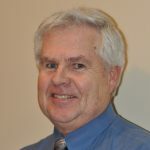 Tom brings 30 years of business experience to solve regulatory compliance, organic certification, feed regulations, export readiness, operating policies and procedures. 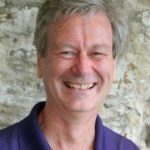 Tom operated Homestead Organics for 21 years and was previously the developer and manager of Bell Sympatico Internet. 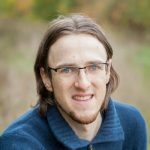 Tom holds a degree in Computer Science from the Royal Military College. 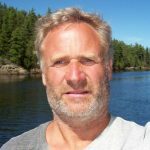 Hugh is an organic certification expert with over 35 years of experience in Ontario's organic sector, including as an agronomist and organic specialist for the Ontario Ministry of Agriculture, Food, and Rural Affairs. Hugh now works primarily as an organic inspector, and has been performing organic inspections for 7 years, but is willing to provide consulting services in livestock and farming as well. Kelly is an active organic inspector, consultant, trainer and board member in Canada’s organic industry. She is an Accredited Process Inspector of the International Organic Inspectors Association (IOIA) and works for a variety of international certification bodies. She assists processors of all sizes throughout North America to obtain organic certification for their products. As an active curriculum designer and trainer, Kelly trains governmental agencies, certification body staff, organic inspectors and producers on organic standards and regulations. Kelly is co-author of the CORP (Canadian Organic Retailing Practices) Manual and Guide, and creator of the CORP In Store curriculum to train Canadian retailers on how to maintain organic integrity in store. 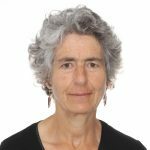 She is an elected member of the Standards Interpretation Committee (SIC), a member of the Organic Materials Review Institute (OMRI) Canada Review Panel and the Guelph Organic Conference committee, and a past board member of the Canada Organic Trade Association. Kelly is a past Chair of Canada’s Organic Technical Committee (the industry group that writes and revises the Canadian Organic Standard) and remains on that Committee as a representative of the International Organic Inspectors Association. She has an MBA from York University in Toronto.